Credit card companies offer a wide range of credit card products to people from all walks of life, from college students to senior citizens, as a result of which there isn’t a single American family free from credit card debts. Although credit is freely available, many people do not know how to use it properly. They tend to overspend, and before they know it, they are up to their ears in debt. Credit card holders must learn the art of holding an ideal credit card balance; if they spend more than the credit limit offered to them, will not only end up losing a lot of money, but also get a low credit score. The ideal way to use a credit card is to avoid spending it on things you do not need and to pay off the entire balance every month. You can successfully do this if you create a monthly budget and stick to it. If you keep your credit card balance at $0, you do not have to spend your hard-earned dollars on late fees and high rates of interest. Learn the art of successful budgeting, which includes keeping track of each and every dollar you spend. Study your credit card statements thoroughly, and in case of errors, notify your credit card issuer at the earliest possible. Never use up your entire credit limit, but retain as much of it as possible for emergency situations. Get into the habit of paying your dues on time; simultaneously, ensure that not more than 10 percent of your income goes on settling credit card bills and loans. You might want to make a really large, but absolutely essential purchase on your credit card. In this case, ensure that your credit balance is just 35 percent to 40 percent of your available credit limit. 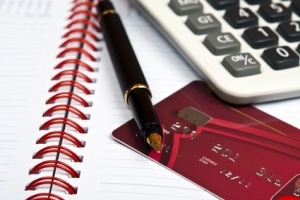 If your balance is too close to your credit limit, your credit score will suffer. In other words, if you use too much of your credit, you put yourself at a greater risk for getting into unwanted credit card debt. Even if you get into financial difficulties, make your monthly payments to your credit card company on time. If you can’t pay off your balance in full, make the minimum payment before the due date to save yourself from spending unnecessarily on late fees and high rates of interest. You might even consider the idea of making two small payments, instead of one, to lower your credit card balance and save on interest rates. Payment due dates keep changing, and you need to consider this; otherwise, you might end up making a late payment unknowingly. Usually, credit card companies request their customers to make their payments at least seven days in advance. Credit cards are very convenient, but if you abuse them, they can make your life miserable. If you use your credit card to purchase luxury items you know you cannot afford, you will have to forfeit your financial freedom and your peace of mind for the major part of your life.